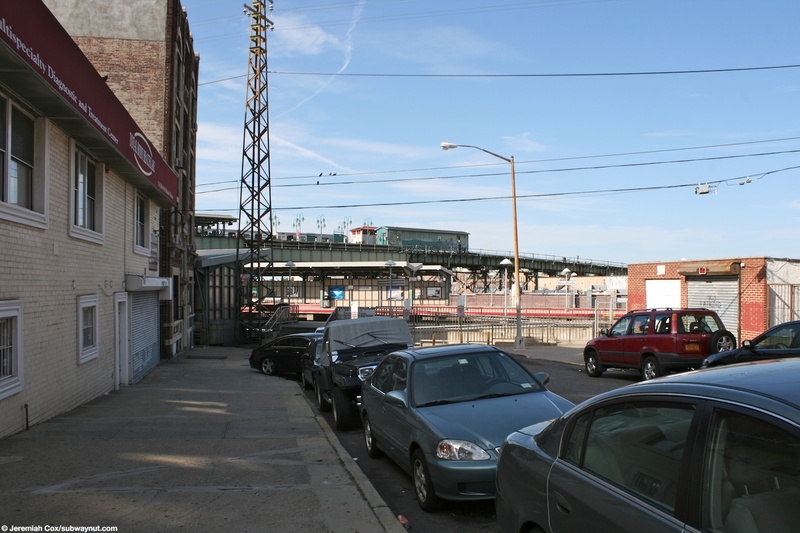 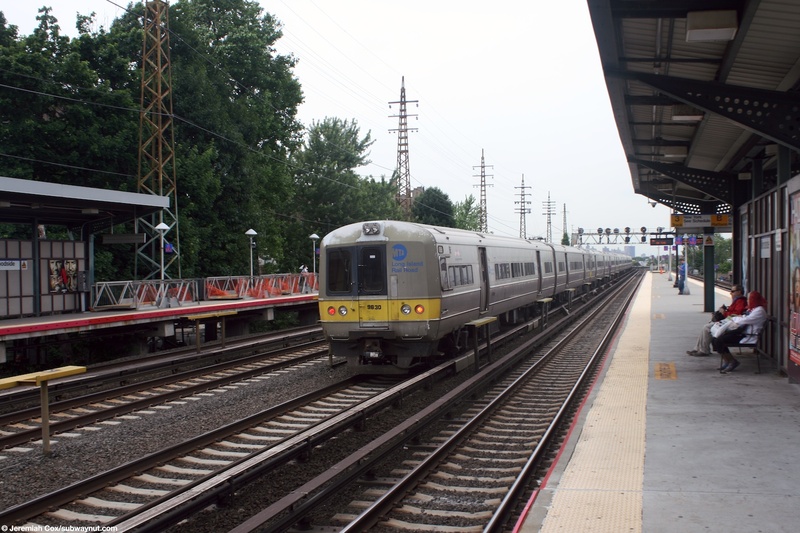 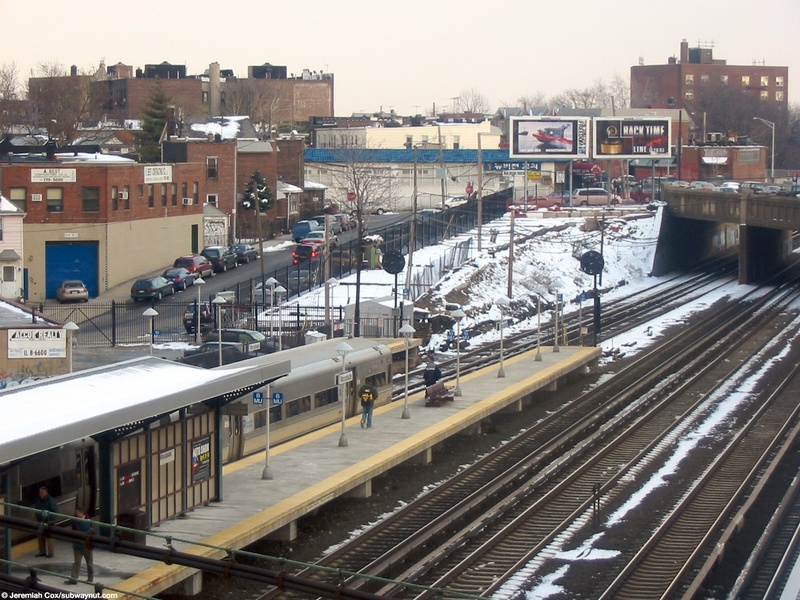 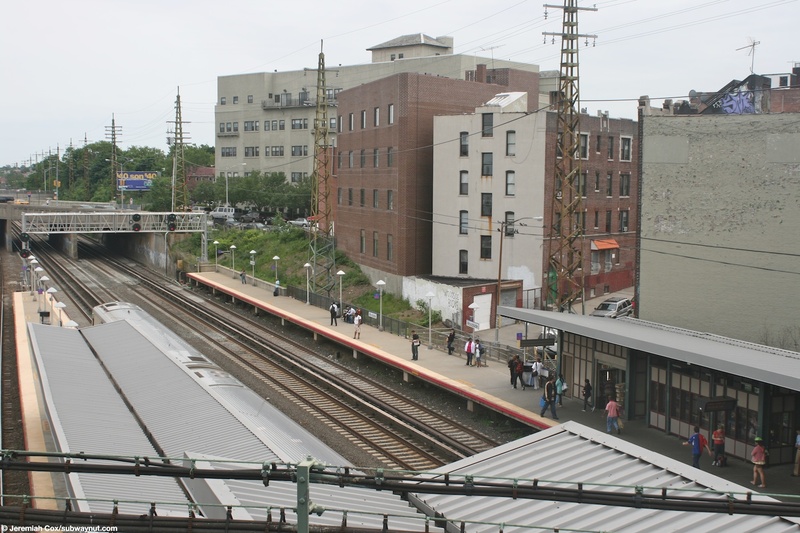 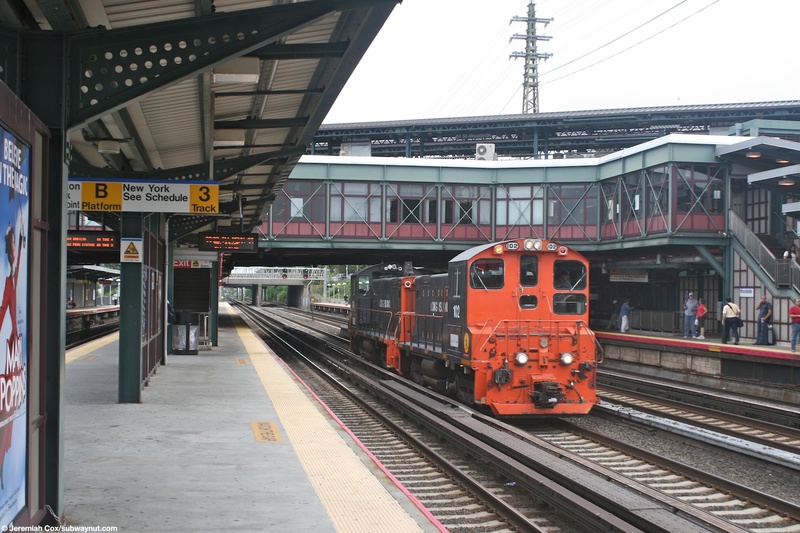 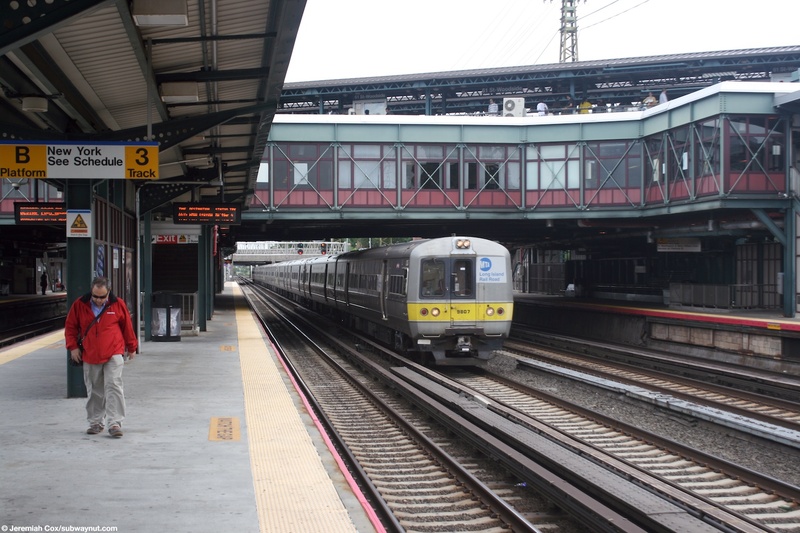 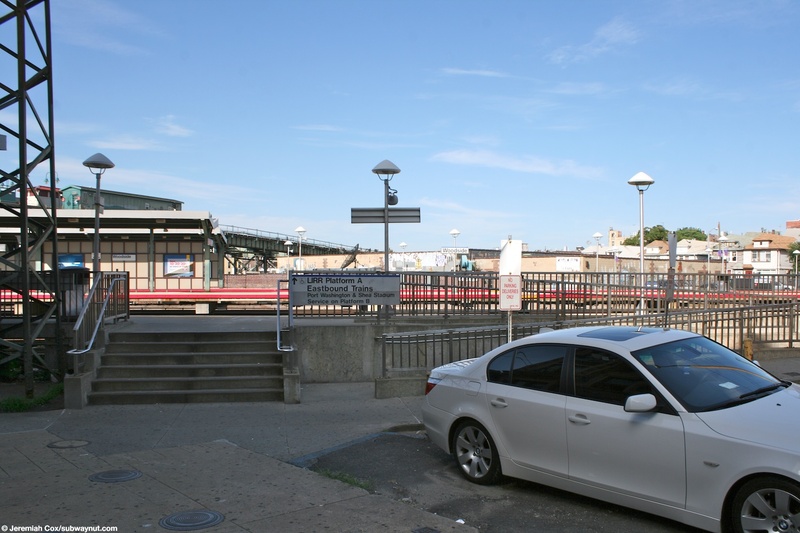 The Long Island Railroad platforms are the lowest level of the subway/train complex at Woodside. 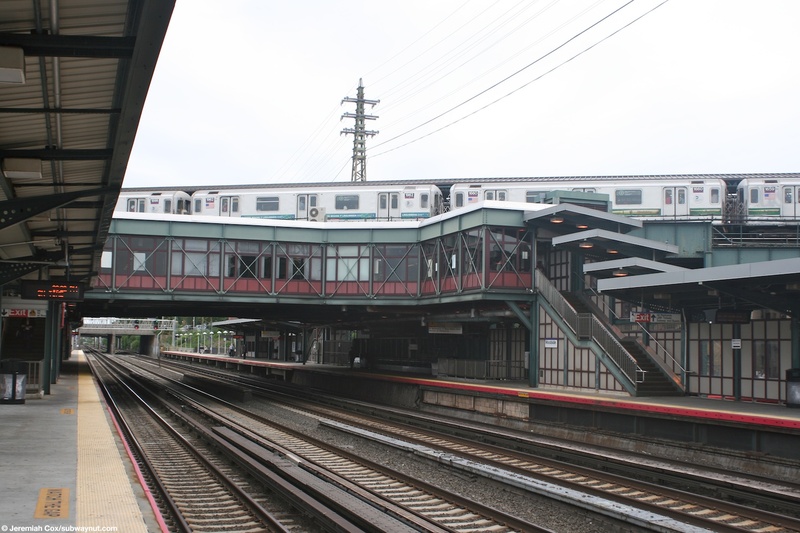 Above the Long Island Railroad Platform is a shared mezzanine level. 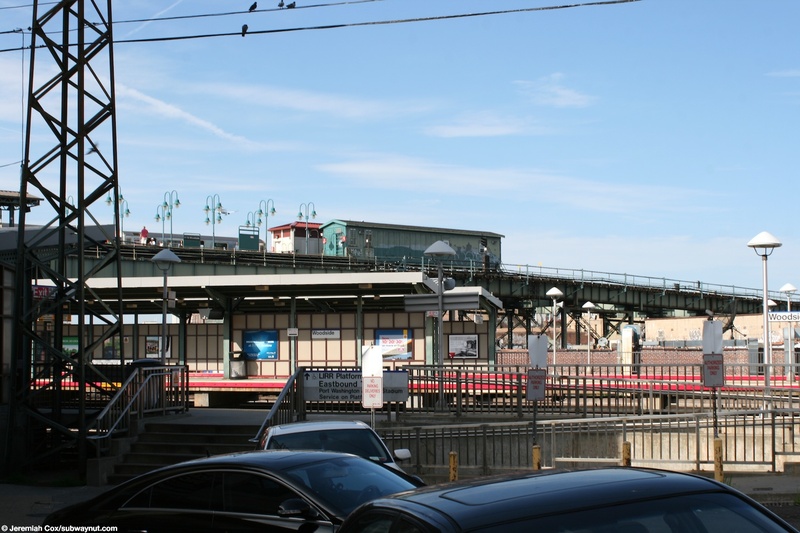 There is limited access though to this mezzanine without setting foot on a LIRR platform and community members do walk down them to reach the subway. 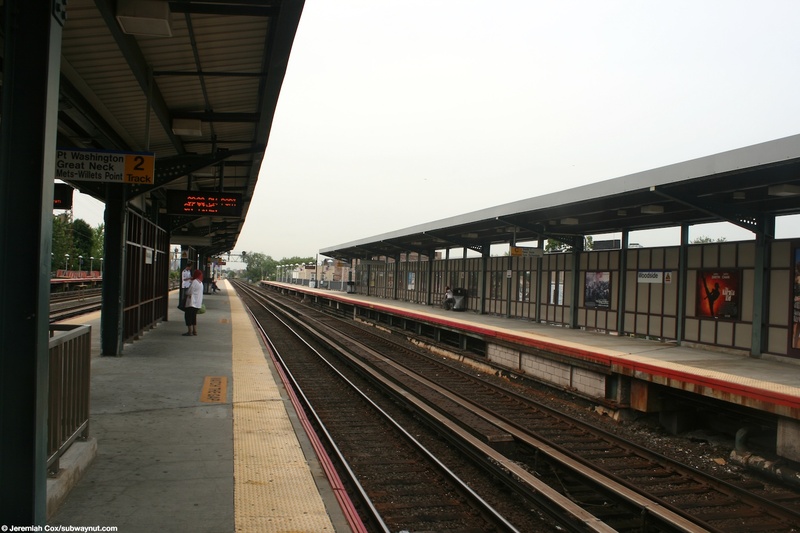 There are a totoal six tracks but only four of these platforms. 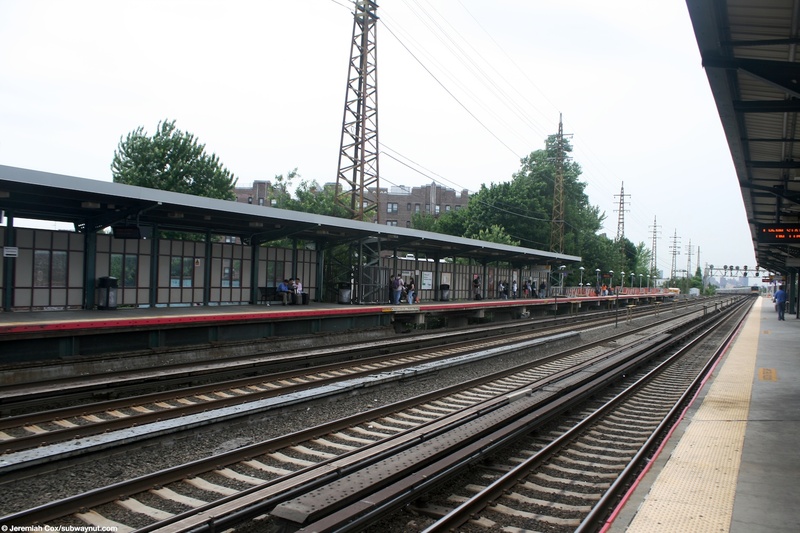 There are the four main line tracks that continue off to Jamaica, and two that curve north shortly after the station to reach Port Washington, all switching must be performed west of the station. 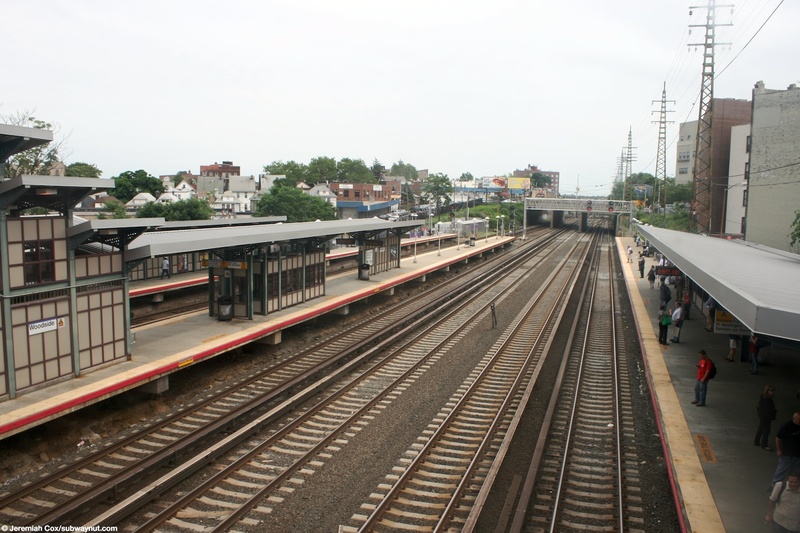 The platforms can be visualized as A-(4 Mainline Tracks)-B-(2 Port Washington Branch Tracks)-C. Platform B is shared by Penn Station-bound Main Line trains and Port Washington-bound trains. 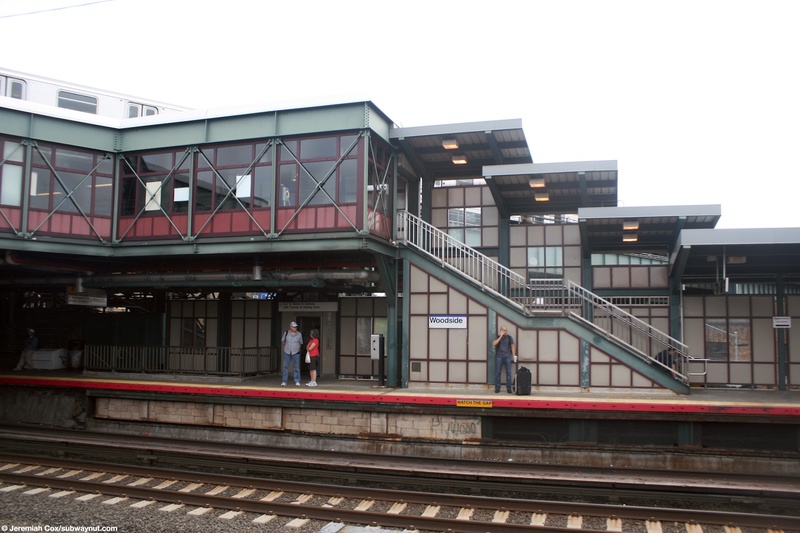 For access in the middle of each platform there are two staircases up to either side of the upper mezzanine level just beneath the 7 line platforms. 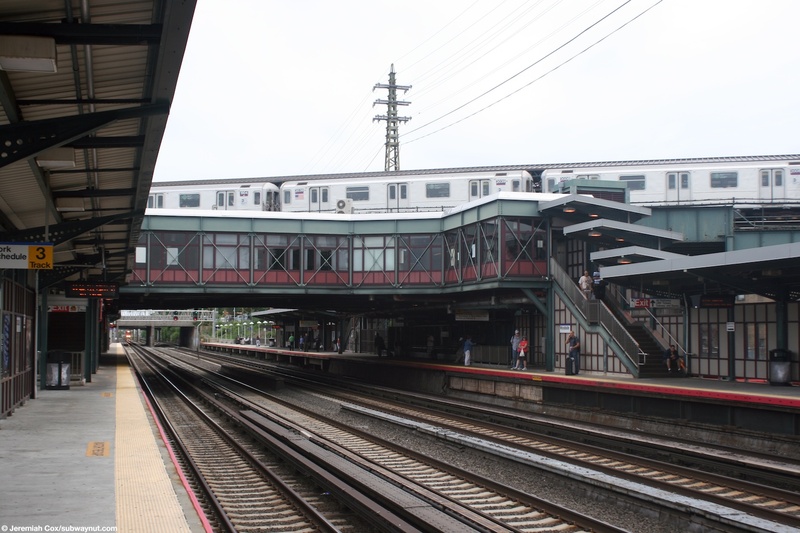 Each also has an elevator up to this mezzanine area with platforms A's also service as the exit elevator leading down to the NE corner of Roosevelt Avenue and 61 Street. 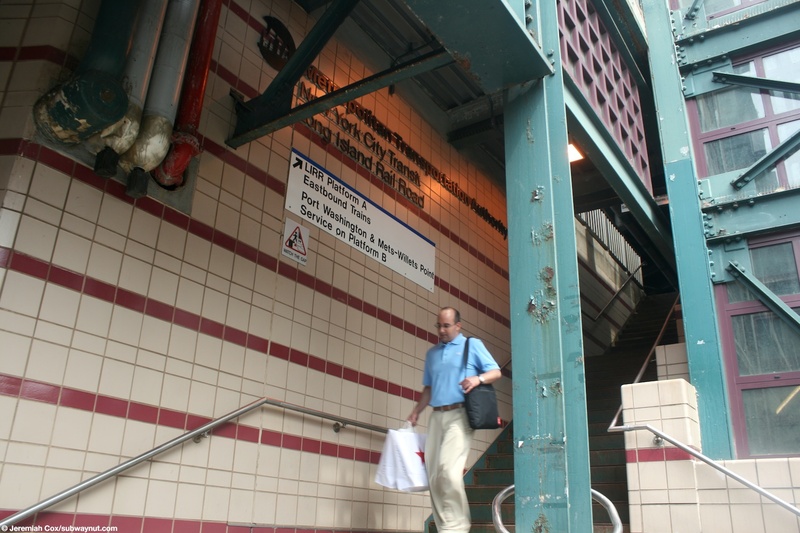 Each platform has an additional staircase up to it along 61 Street, Platform A's is right next to the elevator, B's is along the east side of the street, and C's is across on the west side of the street. 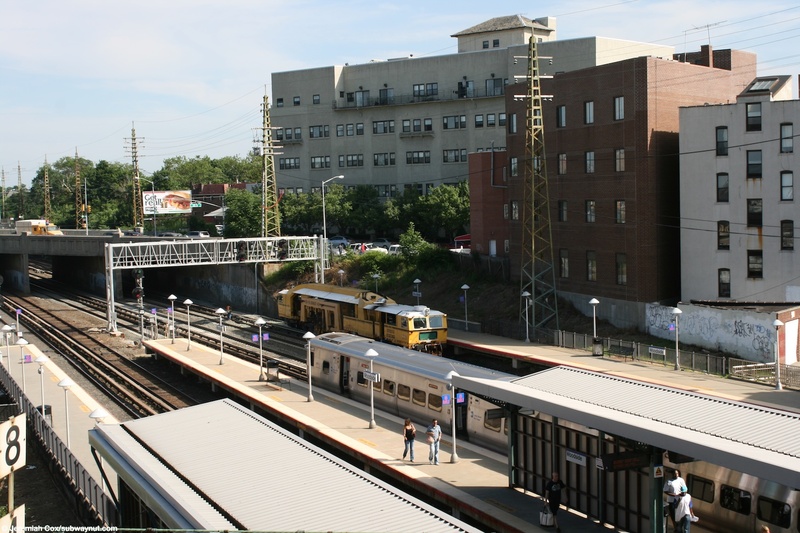 There are additional entrances to both side platforms towards there western ends to better serve the local communities. 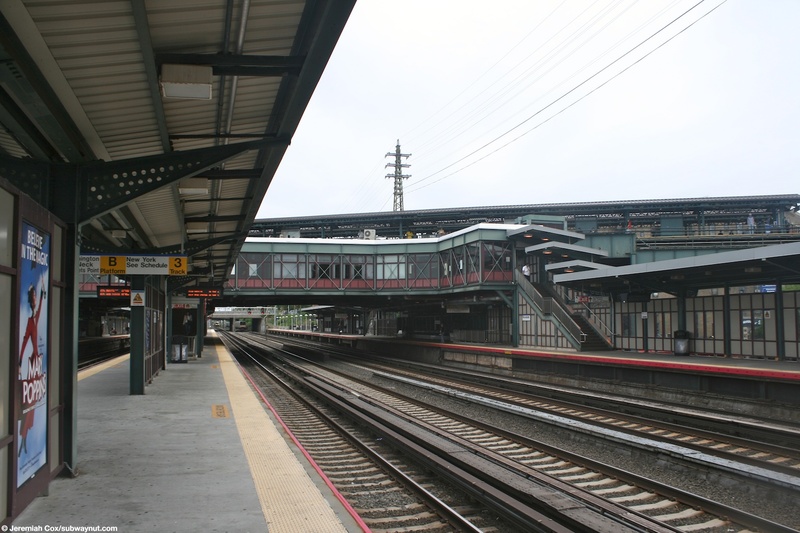 Platform A has an additional short ramp and staircase up to it from a dead end of 62 Street just beyond Roosevelt Avenue, and Platform C at its very western end has a short walkway that leads to 63 Street as it curves to follow the train tracks (and not cross them) and becomes Trimble Road. 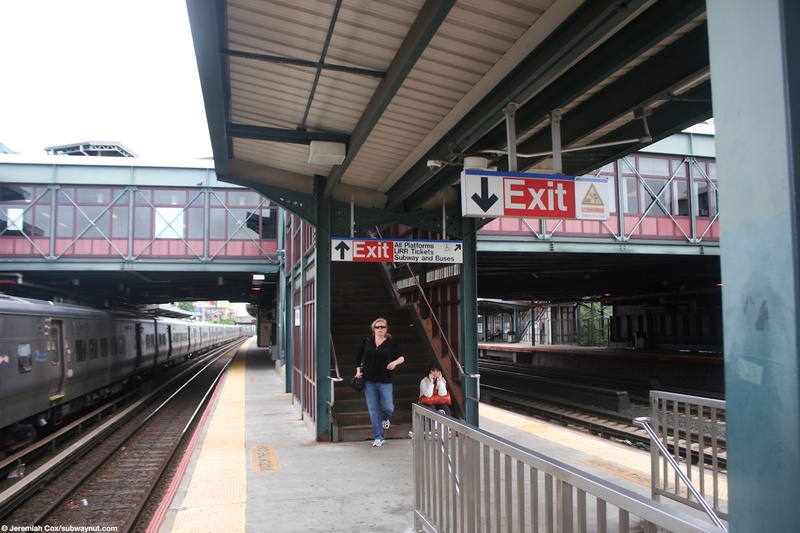 At the eastern end of Platform A, there is an additional entrance at 60 Street ending into the tracks. 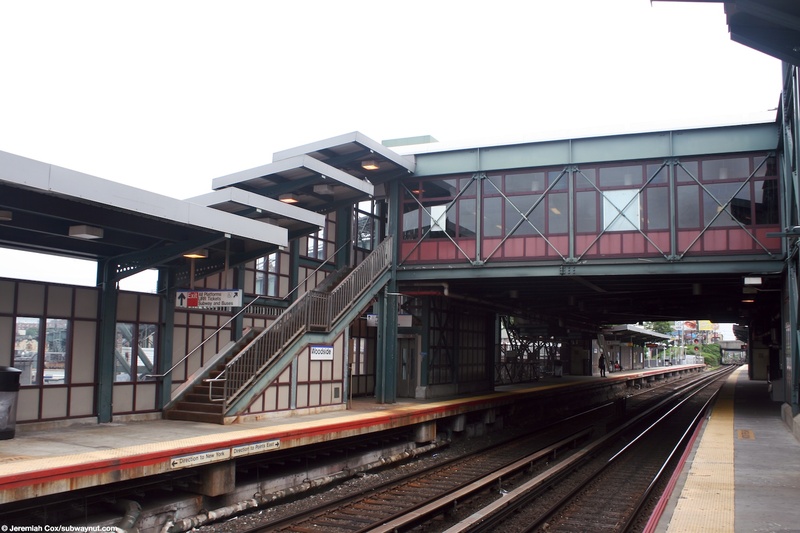 Both platforms are canopied for most decent portions there lengths and have small glassed enclosure waiting areas along with benches. 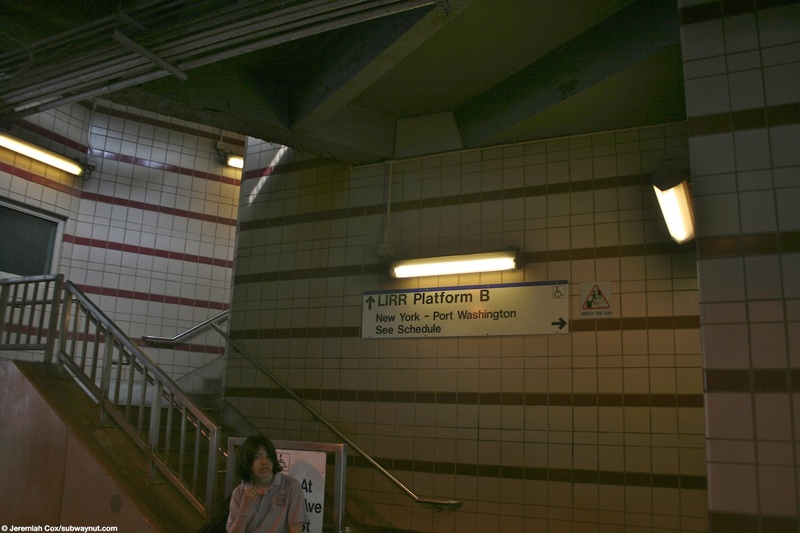 Exit via the mezzanine or the street?